Amy Myers Jaffe is a leading expert on global energy policy, geopolitical risk, and energy and sustainability. Jaffe serves as executive director for Energy and Sustainability at University of California, Davis and Senior Advisor on energy and sustainability at the Office of the Chief Investment Officer, University of California Regents. She is also a global fellow at the Woodrow Wilson International Center for Scholars. Prior to joining UC Davis, Jaffe served as founding director of the Energy Forum at Rice University's James A. Baker III Institute for Public Policy. Jaffe is widely published, including as co-author of “Oil, Dollars, Debt and Crises: The Global Curse of Black Gold” with Mahmoud El-Gamal and co-editor of “Natural Gas and Geopolitics From 1970 to 2040.” She currently serves as a member of the US National Petroleum Council and was chair of the Global Agenda Council on the Future of Oil and Gas with the World Economic Forum (Davos) from 2013-2016. 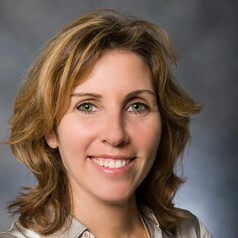 Jaffe was awarded the Senior Fellow award from the US Association for Energy Economics in 2015 for her career contributions to the organization and to the field of energy economics.